Camp for €18,- a night at Camping Schurrenhof in low season with CampingCard ACSI. 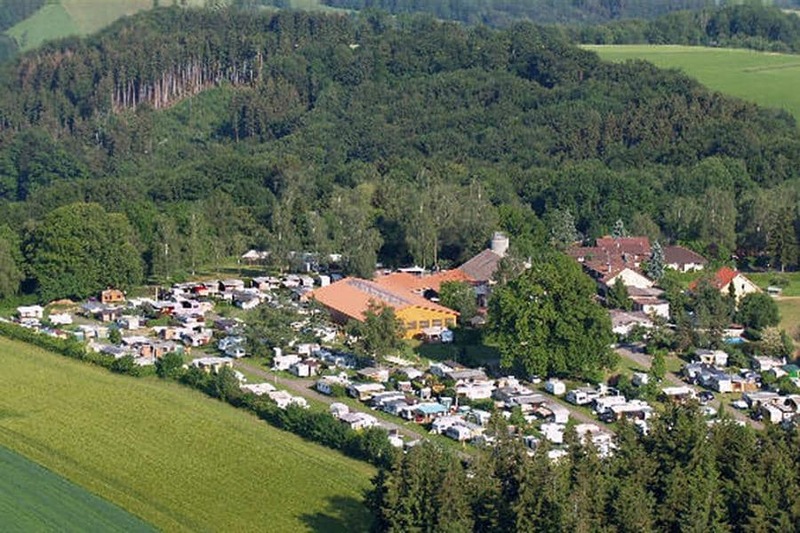 Camping Schurrenhof, located in Schurrenhof (Baden-Württemberg), is a campsite with 125 touring pitches and 120 year round pitches. With your CampingCard ACSI you can camp on one of the pitches during the following periods: 15-03-2019 - 15-07-2019 and 01-09-2019 - 15-10-2019. At this campsite you can not only use your CampingCard ACSI for inexpensive camping, you can also use your ACSI Club ID (as an alternative ID). Campsite at an altitude of 550 metres. Lovely panorama. Walking, cycling, mountain biking, swimming, horse riding, museums including the 'Märklin' in Göppingen, Schwäbisch Gmünd. Legoland Günzburg. We stayed for 15 nights originally only intending for 3 nights. The scenery is stunning and the general atmosphere on the site is very friendly and peaceful. The staff and owners are very helpful and friendly. There is a lovely bar and restaurant with very reasonable prices. The pitch has water and drainage and the electricity is metered but at a reasonable price. We will definitely be returning to this site on our journeys next year. Would you like to book Camping Schurrenhof or request more information? You can do both using the information below or by visiting the campsite's website. A8, exit 56, dir. Göppingen. B10 dir. Donzdorf, follow 'Heidenheim' signs at 1st roundabout. After 1 km le. to Reichenbach/Schurrenhof. From B29, dir. Schwäbisch Gmünd. In Schwäbisch Gmünd dir. Donzdorf. Turn ri. in Rechburg towards Schurrenhof. CampingCard ACSI will send your information request to "Camping Schurrenhof".